Google Search algorithms take into account some 200 factors to rank pages and websites. However, some of these factors are more important than others and ignoring them will not help your website rank. In this post I have listed 5 things you can do to make your dental website rank higher in Google. 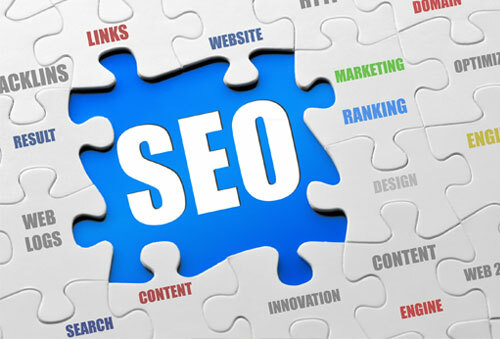 Links are by far the most important factor for ranking in Google and other search engines. Now before you start any link-building, just keep in mind that quality is better than quantity. It is better to have a few high quality links then many low quality links. Any link that is public and you can show to your patients is a good link and any link on a page that you do not want your patients to see is spam. As a dentist, you have many easy opportunities to build high quality links. Just think of how many directories, review sites and insurance sites there are for dentists. In addition, you can get links from most local business directories and chamber of commerce website of your city. Approach your vendors to add your website link on their clients/testimonials page. I am sure your janitor, office designer, website designer, marketing company, dental equipment supplier and others would love to get a testimonial from you. Once the easy links have been created, try approaching local churches, charities, schools, meet-ups and sports teams. See if you can get a link in their sponsor section by donating or sponsoring their work. Then move on to the local press. See if you can get a column or an interview done on a local news paper or radio website. And it doesn’t end here. You can approach any legitimate local or national website for links as long as it gets your website in front of real people. By adding the city and state in title tags of your dental website you want to emphasize the local nature of your website pages. This is very important since all your patients are local and every page on your website is meant for local residents. Therefore, you do not want Google to conclude otherwise by excluding the city and state from the page title. Make sure that all pages of your website have the target keywords and city and state in the content. Again this is done to make the page relevant to the topic as well as your local area (City/Neighborhood). This will ensure that Google sees your content as both locally and topically relevant. e.g. if you have a page about dental braces, you need to talk about braces in your city. So any cost and treatment options you discuss on the page should be relevant to your town/city. Have you noticed that many of the top ranking dentist websites in Google have a domain name containing the city name or dental related word or both? It is not a coincidence but in fact Google does prefer keyword rich domains because of their relevance. Now since most local searches contain the city/location name e.g. ‘dentist nyc’ or ‘dentures nyc’, having a domain name like familydentistnyc.com or cheapdenturesnyc.com is advantageous than having a general domain like beautifulsmiles.com. By coding your Name, Address and Phone (NAP) information using schema.org/dentist markup format, you ensure that this information is separately identified and readily available on your website. This prevents confusion for search engines if they find any other numbers and names mentioned on your website or page. In addition, you need to ensure that your website NAP information matches your Google My Business page location NAP information exactly. Inconsistencies between the two may in fact send a negative signal and decrease your website rankings in Google search results.